Teeth whitening is one of the most popular dental treatments that patients seek from your cosmetic dentist in Virginia Beach. 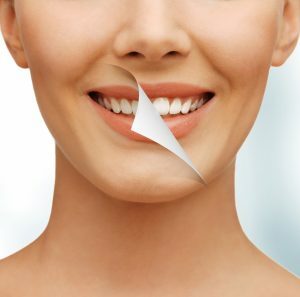 80% of Americans desire whiter teeth and believe wholeheartedly that their confidence will improve after a professional whitening session. Our dental team at Smile by Design has seen that boost in confidence for ourselves, but how do you keep your teeth bright and shiny after your professional whitening treatment? Dr. Santos and Dr. Folck are here to give you some helpful tips that will help your whitening treatment last longer than anticipated. 1. Understand what stained your teeth in the first place. Before you can understand how to keep your teeth white, you should understand what made your teeth discolor first. There are many things that may cause the enamel and dentin of your teeth to discolor. Dark sugary drinks like sodas, coffees, and teas are a big culprit. Smoking and drinking excessively also wear down your tooth enamel, making it easier for deep stains to set into the dentin of your teeth. 2. Avoid staining foods and drinks. A rule of thumb that’s easy to remember is that if your rug can be stained by a substance, it’s probably not good for your teeth. Avoiding foods and drinks that are dark in color may keep your cosmetically whitened teeth brighter for much longer. Your dentist in Virginia Beach recommends staying away from red wine, grape juice, sodas, spaghetti sauces, and dark berries for example. 3. Keep up excellent dental hygiene habits. Caring for your teeth at home is very important not only to the appearance of your teeth but their overall health as well. By brushing correctly twice a day and flossing, you will be removing harmful plaque that can make your teeth discolor and decay. 4. Use a whitening toothpaste. Dr. Santos and Dr. Folck always recommend using an ADA (American Dental Association) approved toothpaste when brushing at home. One way to keep your teeth white is to use an ADA-approved toothpaste with whitening properties. Click here to see which name brand toothpaste have the seal of approval from both the ADA and your local dentist. 5. Visit Smile by Design. Any effective dental treatment plan includes regular dental appointments from your local dentist. During your routine appointment with either Dr. Santos or Dr. Folck, you will receive a comprehensive checkup, thorough cleaning, and time to review with your dentist afterward. If your dentist notices that your teeth are starting to discolor once again, we can openly discuss your habits. Ultimately, we want you to be confident in a dazzling, healthy smile. These tips may seem insignificant, but these are the things that you have to consider when you wish to maintain a bright smile. Not only will your oral hygiene improve, but your teeth with also stay whiter for longer. If you would like to discuss the possibility of trying Zoom! Teeth Whitening to reach your smile goals, contact us today!